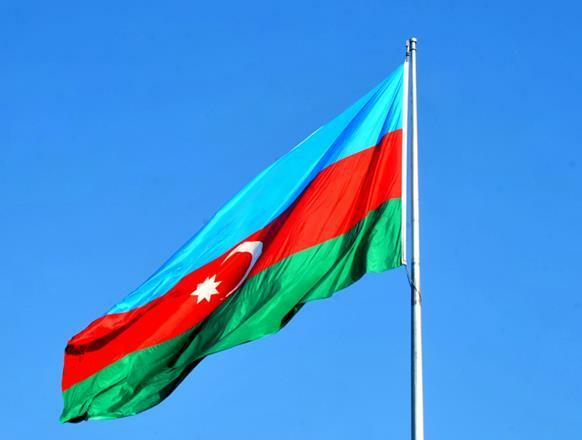 The flag of Azerbaijan is a rectangular panel consisting of three equal horizontal bands colored blue, red and green. A white crescent and an eight-pointed star are centered in the red band. The ratio of the flag's width to its length is 1:2. Azerbaijan's flag is considered the symbol of its national sovereignty.